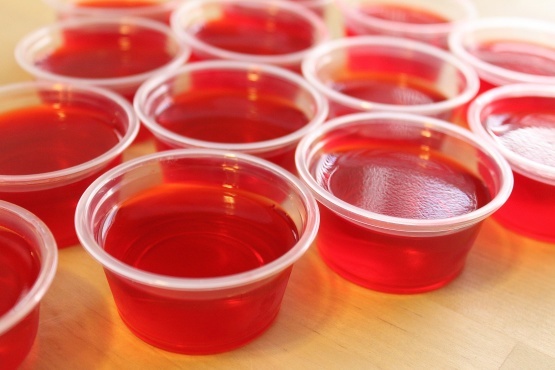 West Ashley officially changed its local currency to jello shots today. The move came after locals become bored with paper money and started bartering for items with jello shots instead. International currency trading markets are responding well to the news with the jello shot exchange rate performing well against the US dollar and Euro. The new West Ashley Mint will be Ashley Lanes Tavern, where the majority of jello shots are currently produced and distributed. The new currency will have different values based on their flavor, so red fruit punch jello shots will more worth than green lime ones. The Mint will maintain large numbers of the most coveted apple pie and pink lemonade jello shots in a vault to secure the stability of the new jello shot economy. The new jello shot economy appears to be working well, with one local West Ashley resident paying for a brand new car with a dump truck full of blue coconut Malibu shots. Now local rappers are re-filming all of the music videos, making it rain with peach Cristal bellini jello shots instead of $100 paper bills.